Our recent trek to Howell Mountain in Napa Valley included a tour of O’Shaughnessy Estate Winery. The tricky drive up to 1800 feet elevation, and the detailed-yet-necessary directions from the winery, reminded us of our odyssey to Cain. As we’ve said before, follow every last word of the directions. We promise, you’ll thank us later. 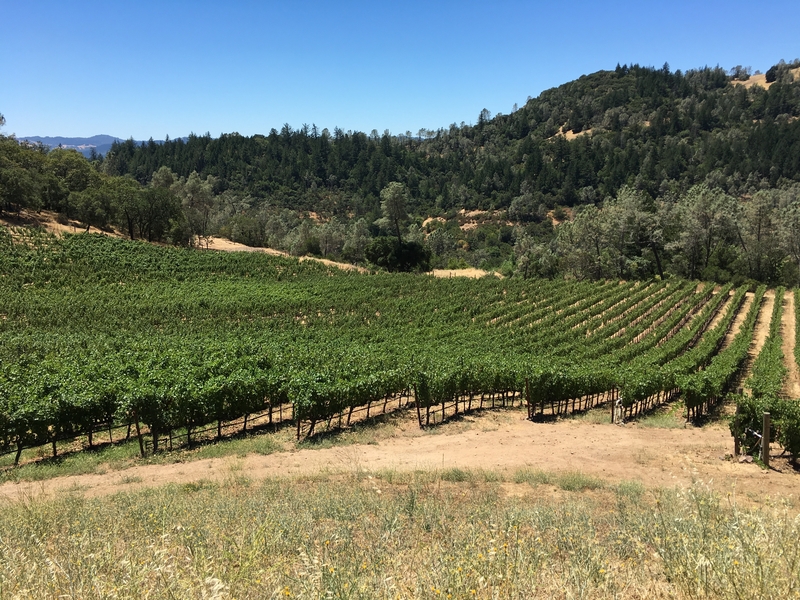 The winery sits atop a peak on Howell Mountain surrounded by 128 acres of golden grasses and the aroma of oak trees in summer (we toured in July). 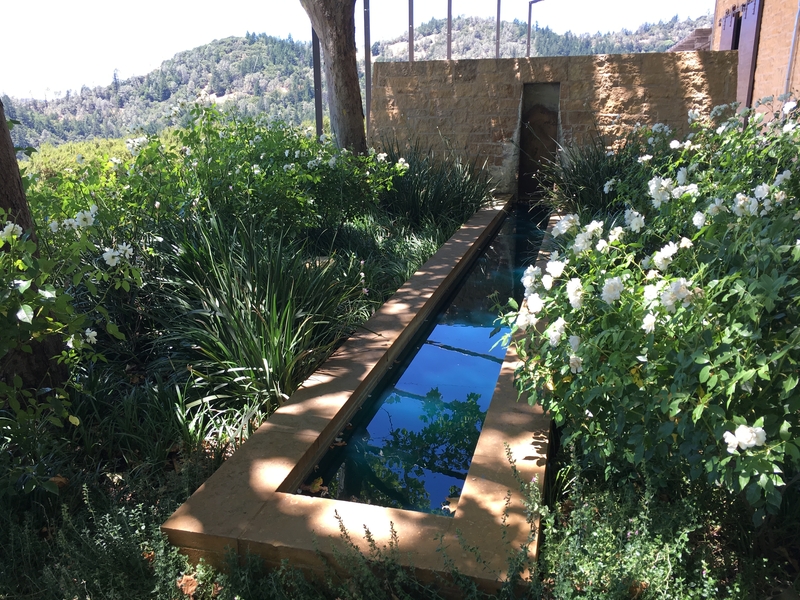 A modern water feature and casual outdoor seating adorn the entrance to a stone building reflecting transitional Napa design. 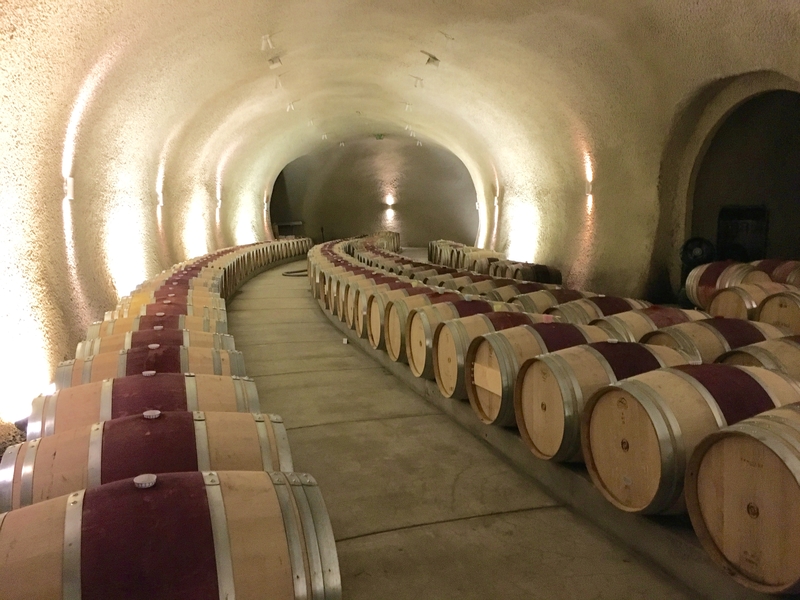 The winery was almost uninhabited and nearly soundless, so expect an intimate tasting experience. We were greeted warmly upon our arrival by a kind, knowledgeable host who supplied us with our first pour – a 2015 Oakville Chardonnay. It lacked familiar buttery notes in favor of bright, yet subtle, vanilla cream. The grapes for their chardonnay are harvested from Betty O’Shaughnessy’s personal property on the valley floor in Oakville. We proceeded through the usual tank room experience, however briefly, then ventured into the impressive cave that hugs the rear of the building. The cave took two years to construct and occupies approximately 11,000 square feet inside the mountain’s volcanic rock. The cave is so expansive that the winemaker doesn’t even need to stack the barrels as the wines age. And there was an interesting 1800 lb. 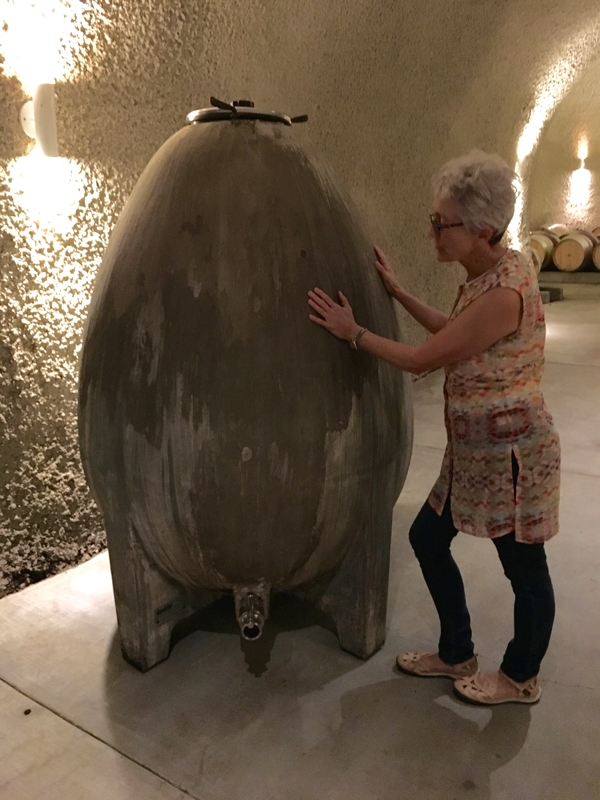 concrete egg that guards the Sauvignon Blanc. The concrete is porous and allows the right levels of oxygen to permeate the wine. Think old world ceramic meets modern industrial design. 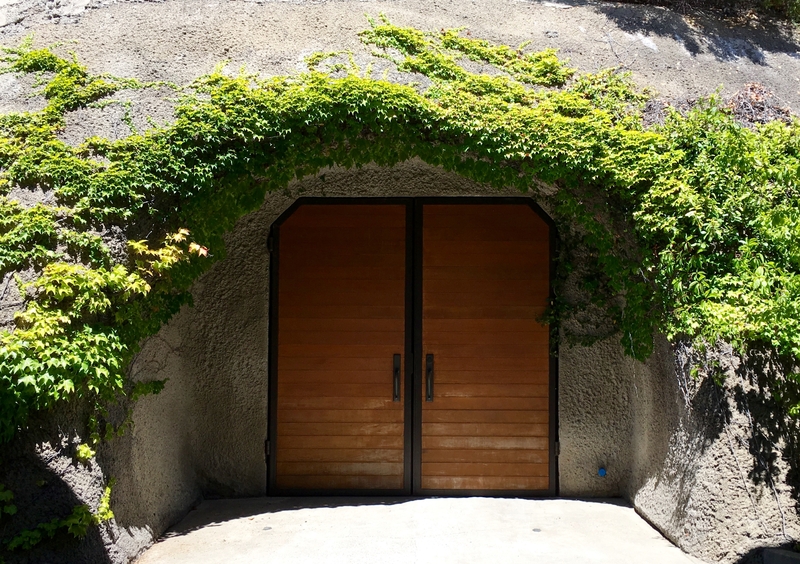 The crowning jewel of the entire winery is actually hidden inside the cave. 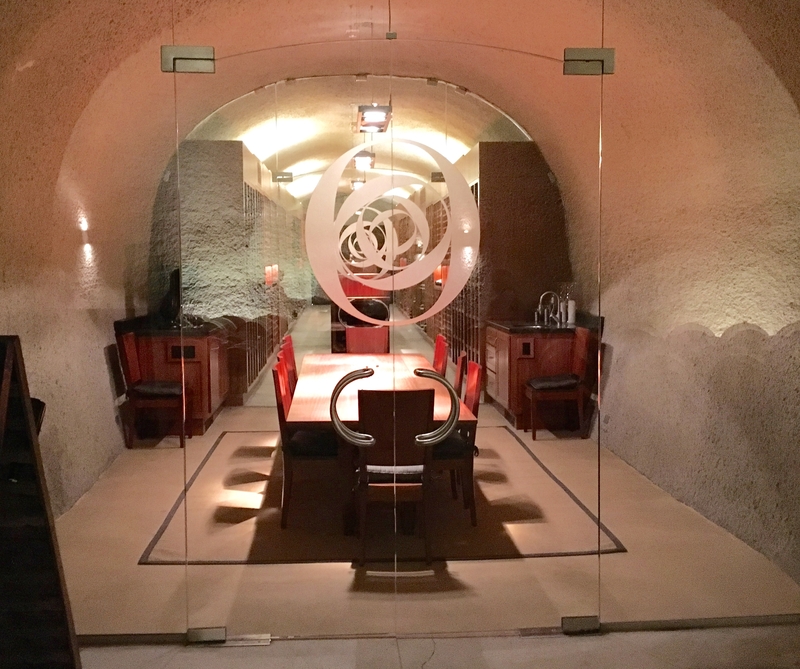 A private dining room with adjacent wine collection resides off of an arm of the cave behind glass doors. The piped in music creates a cozy experience amid the barrels and impressive private wine collection (we noticed quite a few bottles of Schramsberg Blanc de Blancs). 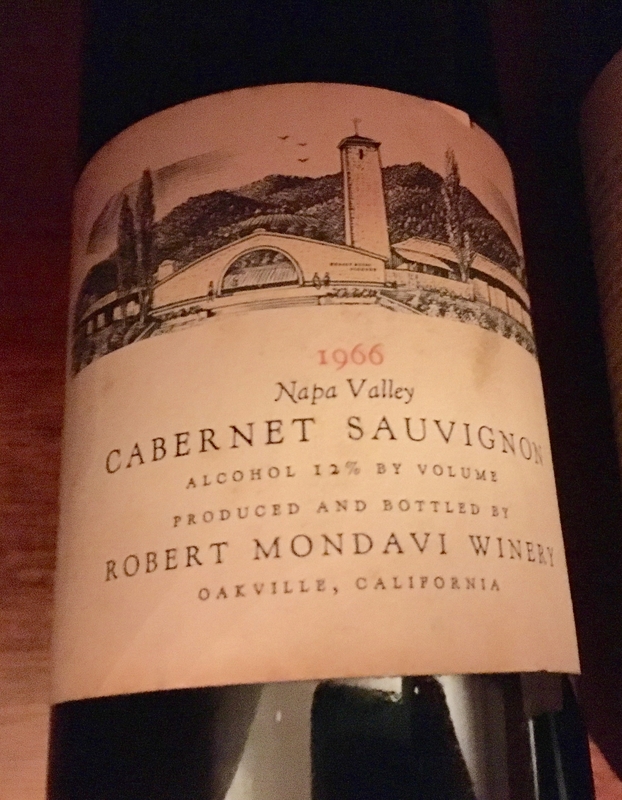 Our tour guide pointed out the historical significance of a special auction lot purchased by the owner, which includes the first wine Robert Mondavi ever produced. Not too shabby! Our last leg of the tour included a seated tasting of three reds in the O’Shaughnessy portfolio. The 2014 Howell Mountain Merlot is a beautiful wine of intense purple, and equally beautiful black fruit. Layers of toasted fig and cassis linger in the glass, and it finishes with some snappy tannins. We were fortunate to taste this Merlot since it’s not produced every year (there’s no 2015 or 2016 to look forward to). The 2013 Howell Mountain Cabernet Sauvignon shows raspberry on the nose and includes some less popular varietals like St. Macaire and Carmenere. Finally, the crowd favorite (crowd of two, that is) was the 2013 Mount Veeder Cabernet Sauvignon. It’s a 100% Cabernet on the Mountain that’s in the southwest corner of the valley. It reminded us of Santa Claus – cheeks like roses and a nose like a cherry. A scrumptious wine with a smooth finish. Tip: Don’t expect to rely on GPS on this journey. Follow the lengthy instructions and pay attention to the tiny rusted signs along the way.